Proceeds from the sales of Starting Fresh! will benefit the Boston Childrens Hospital surgical unit where my son has been treated the past 2 years. Its pizza month! Who knew? This good for you pizza is a whiz to make using late summer squash and veggies and cheese from your fridge! It is hard to believe but it is as good tasting as it is good for you! 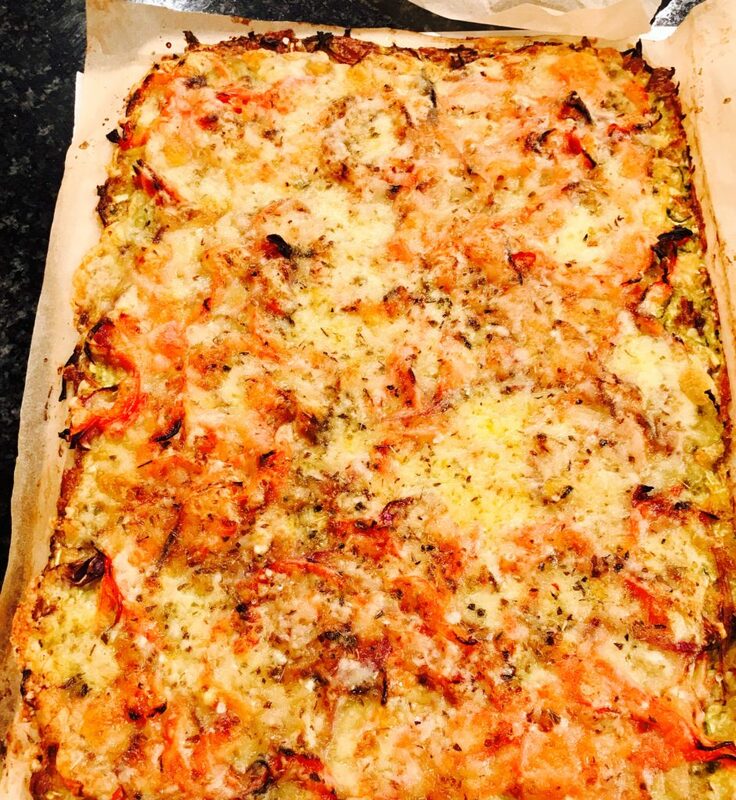 So get grating and transform your veggie drawer contents into a hip easy peasy comforting autumn pizza that can be served from breaky to the evening meal! Crispy crust is topped with roasted veggies and melting oozing cheese! Pizza that hugs your body and nourishes your soul and faster to make then the local pizza delivery! For the crust, squeeze grated zucchini in a paper towel to remove excess water. Mix in the rest of the ingredients and spread thinly about 1/4 inch thick on a piece of backing parchment. Top with the vegetables and bake at 400F for 20-25 minutes on the bottom rung of the oven until starting to brown. Top with cheese and bake another 10-15 minutes until bubbling! Serve hot or room temperature!